Our dedicated surveying team of professionals include Chartered Building Surveyors in Huddersfield who cover the West Yorkshire Pennines from Hebden Bridge, Halifax and Mirfield in the north down to Holmfirth and Clayton West in the south are all RICS qualified and are all resident in the in the local area with a depth of knowlege of historic local building techniques. Also included in our team are members of the Association of Building Engineers and registered Domestic Energy Assessors. The Huddersfield postal districts have a variety of building styles and some which pre-date the industrialisation of the Colne and Holme valleys can still be seen in some of the rural villages that became part of the Huddersfield with the growth of the woollens and textile industry. We are experts in local building styles. Whether you are buying a solid stone-walled dwelling, or an early twentieth century semi, or even a post war ex-local authority house we will be familiar with the typical faults found in these buildings such as delaminated stonework, inappropriate cementicious pointing, lack of lateral restraint to flank walls, wall tie failure, and carbonization of concrete components to name a few. Halifax underwent a similar expansion of its woollen and textile trades during the industrial revolution. Prior to this there were many cottage industries making use of the local infrastructure. The villages of Hebden Bridge and Sowerby Bridge are typical with a high proportion of weaver's cottages built in close proximity to the Rochdale Canal. Our Building Surveyors in Halifax are famliar with these older properties, many of which have stone roofs, or are built into or against embankments, and can be difficult to keep dry and warm. Our Chartered Building Surveyors in Huddersfield and Halifax realise that buying a property is very often a balancing act between purchasing a house you have set your heart on, against the worries of hidden defects and escalating maintenance costs, and we would assist you by giving you the information you need to strike that balance. 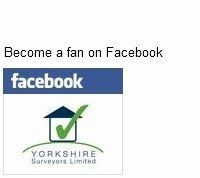 Our surveyors in Halifax and Huddersfield can offer full building surveys, RICS Homebuyer's reports or a survey tailored to your specific needs.